All-to-all broadcast in a network is to distribute an exclusive message from each node to every other node. It is a vital requirement in high performance computing and communication applications including enterprises operating data centers. It is also a core issue in telecommunication network where each node in the network needs to gather information about all the other nodes for efficient management of network resources. WDM optical networks act as the backbone for telecommunication networks. Wavelengths are precious resources in WDM optical networks and its usage must be limited to reduce network cost and complexity. Optical linear array finds application in LAN, WAN and MAN and its topology needs to be modified to reduce wavelength requirements and hop count. 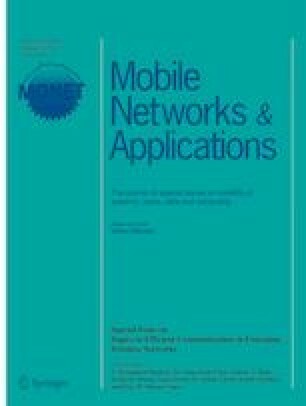 In this paper, a linear array network is modified by additionally joining alternate nodes. For such a modified linear array, the minimum wavelength number needed to support all-to-all broadcast is derived by grouping non overlapping connections on a common wavelength. The results obtained for modified linear array shows that the wavelength number needed is approximately reduced by half when compared with that of a linear array.